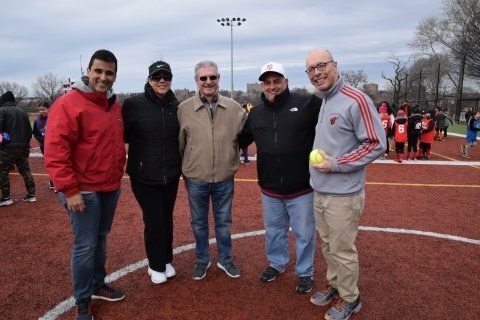 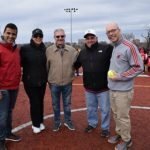 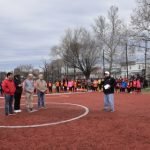 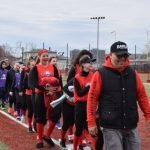 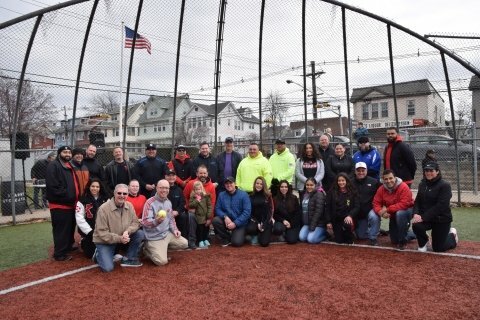 On Saturday, April 7, 2018, Mayor Alberto Santos, Town Council Members Albino Cardoso, Marytrine De Castro and Peter Santana attended opening day ceremonies for the Kearny Softball Program at Veteran’s Memorial Field. 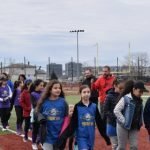 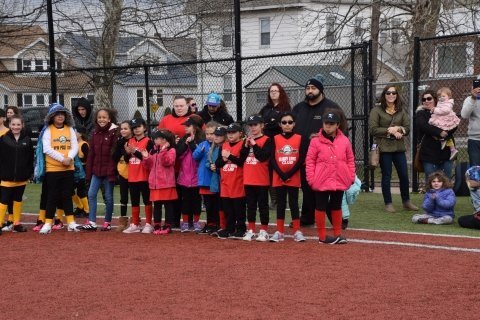 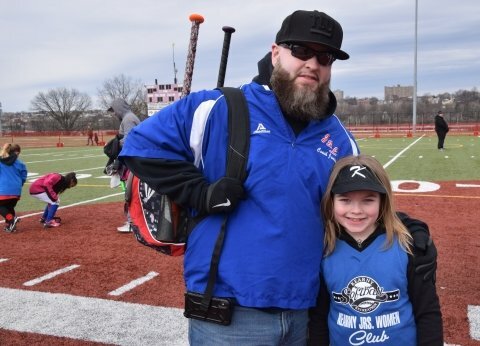 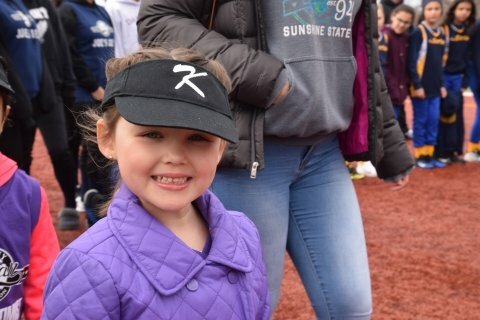 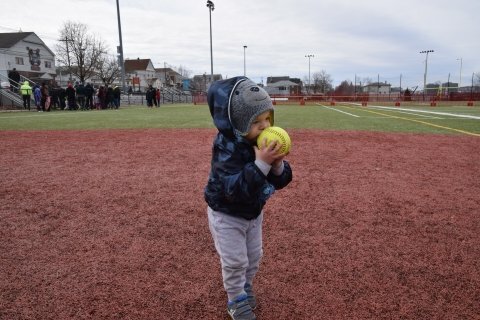 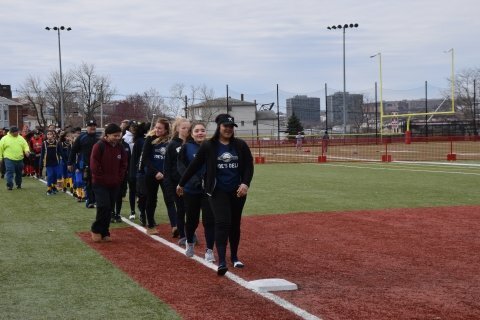 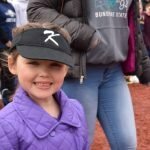 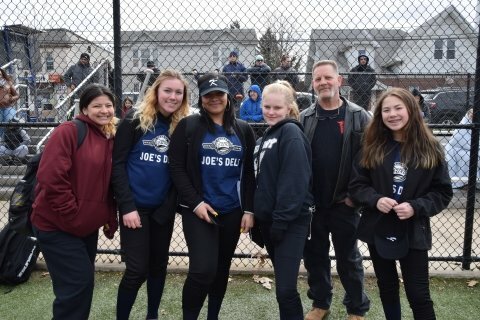 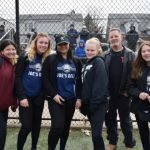 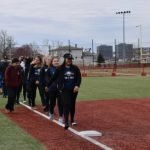 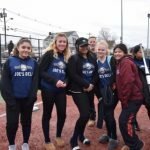 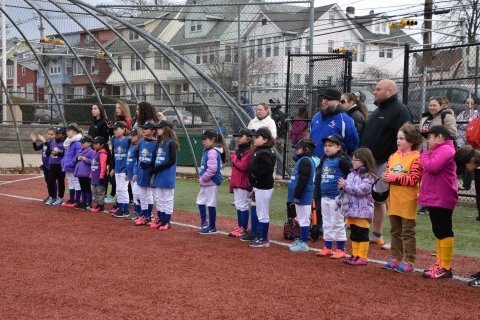 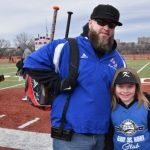 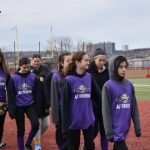 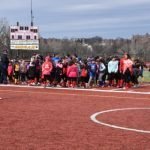 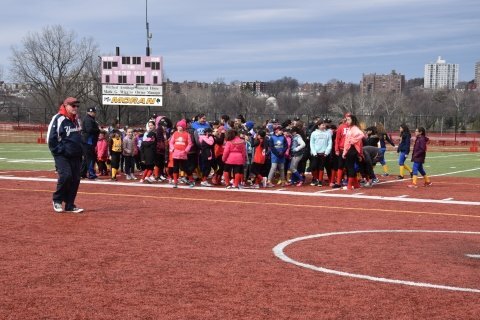 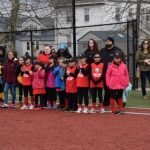 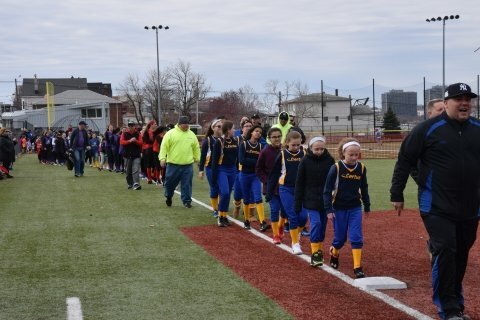 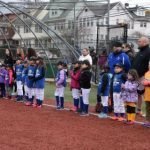 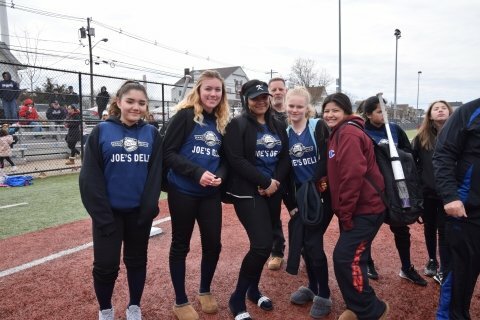 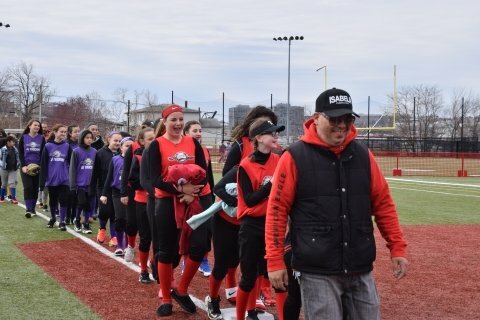 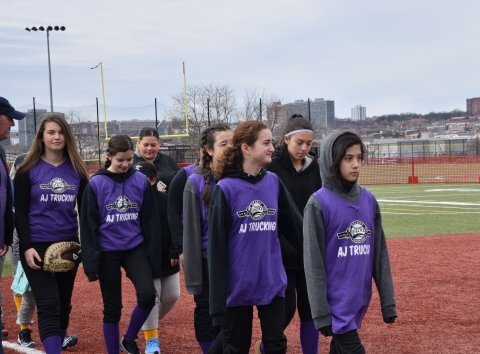 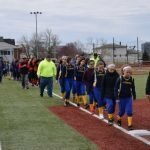 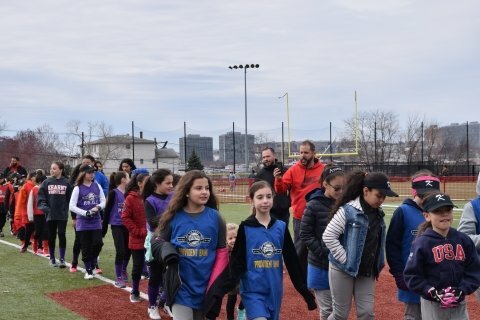 This year, 175 children registered for participation in the softball program which is now in its 53rd year as a Town of Kearny Recreation program. 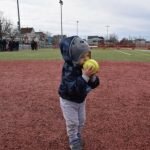 Local businesses and organizations are sponsoring 13 teams for children ages 4 through 12 and grades Pre-K through 8th. 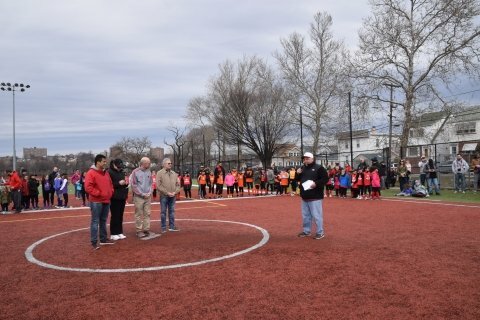 Parents and players joined Mayor Santos, volunteer coaches and program coordinators to kick off the softball season. 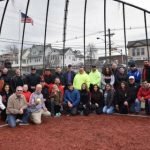 The Town of Kearny extends its gratitude to all the sponsoring local businesses for their contributions and support of the Town’s recreation programs.